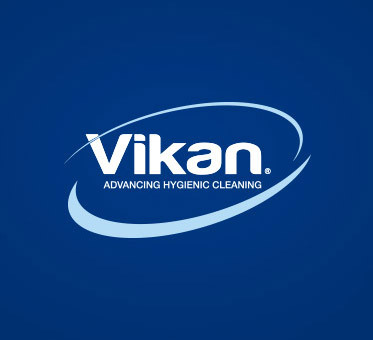 When I joined the Vikan family I did not know the fact that a Danish-rooted manufacturing company of cleaning tools and solution had anything to do with research in diabetes and cancer. However, I realised that by being either an employee at Vikan or being one of our distributors or end-users, we actually support scientific research within diabetes and cancer, which makes me very proud! Vikan was founded back in 1898 and has been family-owned until 1986. In 1988, Bay & Vissing acquired Vikan and by that, the Vissing Foundation and Vikan became merged. Jenny and Mogens Vissing was the couple behind the establishment of the Vissing Foundation, which was founded to secure the future of Vikan. The harsh reality was that Jenny and Morgens struggled with both diabetes and cancers themselves and had no children to take-over the business. That reality led the couple to establish the Vissing Foundation, which today owns the majority of Vikan A/S. The foundation is still active and supports scientific research within cancer, diabetes as well as other charitable purposes. Projects includes among others research in disease prevention, diagnostics and treatment in Denmark. As an example donations have been given to research projects in prostate cancer and diabetes for teenagers. I really believe that we all approx. 225 employees at Vikan are very proud of contributing to scientific research and charity which benefits all of us and our surroundings. This tells about a company who takes its social responsibility as a corporate citizen seriously and naturally. This approach is so deeply rooted in our way we think and is anchored in the full organisation between employees. While I have been a part of the Vikan family, we have supported several charity initiatives, including among others, Danish Hospital Clowns” and “Families with children with cancer” focusing on supporting children with cancer, and organise some events to make the families forget about the disease for a moment. Vikan’s responsible citizenship also appears in other charitable aspects. Latest, Vikan has made donations to support good projects for combating poverty and increase the standard of living in developing countries, as well as to vulnerable zones. Those donations included both monetary donations as well as discarded cloths and products. The charity activities reflect the ability to act in the sense of the Vikan values; Initiative, teamwork, credibility and commitment, and I strongly believe that we will contribute likewise in the future.